If you’ve ever taken a painkiller, you may be able to appreciate the difference between temporary relief and deep healing. Although pain medication may diminish your conscious feeling of pain, this relief does not necessarily mean that actual healing has occurred. It may be tempting to think that pharmaceuticals have performed a miracle. While it can be supportive to the healing process, it’s important to remember that they’ve simply provided short-term relief from pain or discomfort. When a pain medication “works” effectively for the pain, if the condition is a chronic condition, it may be only suppressing the discomfort associated with a disease or injury, not necessarily healing the physical or mental condition that let to the pain in the first place. When pain is suppressed, it may cause a false sense of well-being, which can lead to another injury. For example, if an athlete injures their knee through an accident or over-exertion, they may be prescribed a medication that will mask their discomfort. Since pain medications simply reduce the sensation of pain as opposed to thoroughly healing a condition, they may result in the person continuing to run on an injured knee and creating a worse injury that requires potential surgery. A person with chronic joint pain might continuously take over-the-counter medications that provide relief. However, continued use of nonsteroidal anti-inflammatories (NSAIDS) or other pain medications can also create a tolerance, cause side effects, or lead to adverse conditions in other areas of the body. Naturopaths assert that there is a big difference between “real” healing, palliation of symptoms, and suppression of disease, even though each of these may seem to feel the same to a patient. Additionally, some may not understand that there is potential danger in frequent application of treatments that simply relieve symptoms. The concept of suppressing symptoms is accepted and understood in psychology. For example, when a person suppresses his or her emotions, these actions tend to ignite the emotional turmoil, oftentimes making the person feel worse than if they were to have accepted and processed the emotions in the first place. When an emotion is suppressed, it will typically arise inadvertently through other thoughts, actions, or words. This leads to the emotion erupting in a way that may be more uncomfortable than the original feeling. Most people are familiar with the problems associated with suppressing emotions. However, it’s less common knowledge that many treatments can suppress physical symptoms, ultimately driving a disease deeper, rather than treating the original cause of the symptom. Suppression of a disease is useful for providing comfort, controlling symptoms, or breaking a cycle. However, it’s important to remember that pain medication should be accompanied with a search and treatment of the original cause of the condition. All too often, symptoms are the only portion of an ailment that is treated. Many pharmaceuticals are touted, through advertisements and otherwise, specifically for their ability to treat symptoms. The use of pharmacological agents that are designed to inhibit symptoms may result in pushing a disease deeper without addressing the causation. These symptoms are the natural defensive functions of the body, sending a message to our brains that something is wrong and should be tended to. Suppression of pain and discomfort may provide a short-term benefit, but in some cases, it can make a person sicker. Symptomatic treatment of the disease process may lead to increased chronic disease, immune dysfunction, or mental illness. Naturopathic physicians are trained to trace a medical condition back to its source. The cause typically hides in places that aren’t obvious to patients and will be displayed through other symptoms. A qualified naturopath will find the source of chronic pain or illness and treat the cause directly. At Heart Spring Health, it is our mission to prioritize the least harmful therapies to our patients. We understand that the body’s most powerful tool is its ability to heal itself and our naturopathic treatments focus on just this. In many cases, the least harmful treatment method means not treating the symptoms of a disease or other ailment. Instead, we focus on the root of the problem. 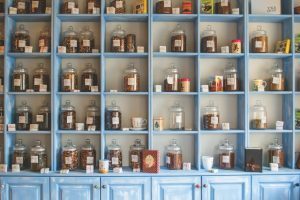 The natural medicine practitioners at Heart Spring Health are trained to focus on treating the cause of pain and other symptoms, as opposed to suppressing our patients’ discomfort. Contact our Portland natural health care providers (naturopathic doctors, acupuncturists, chiropractors, massage therapists, and more) to learn about our natural healing methods.